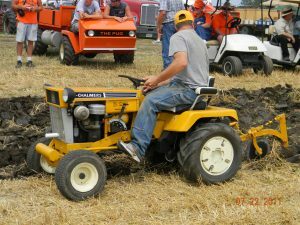 Each year, the Upper Midwest AC Club features a specific Allis-Chalmers Model as their way to continually acquire, protect, restore, maintain, and preserve knowledge of these fine machines that highlight a part of the Allis-Chalmers company history. The list and images of our feature A-C models are listed below. During the 2019 Orange Spectacular, the featured tractor will be the Two-Twenty to mark the 50th Anniversary of production. 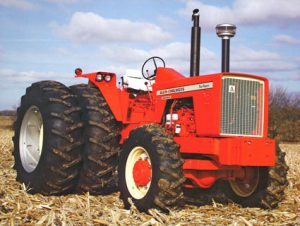 With less than 2,000 of these tractors that were ever built from 1969 to 1973, this landhandler tractor replaced the D21 Series II making it the largest Allis-Chalmers wheel tractor at the time weighing in at almost 15000 pounds. Anyone interested in bringing their Two-Twenty to the Orange Spectacular are welcome. If you have questions or if you need to register your tractor, please contact a board member.